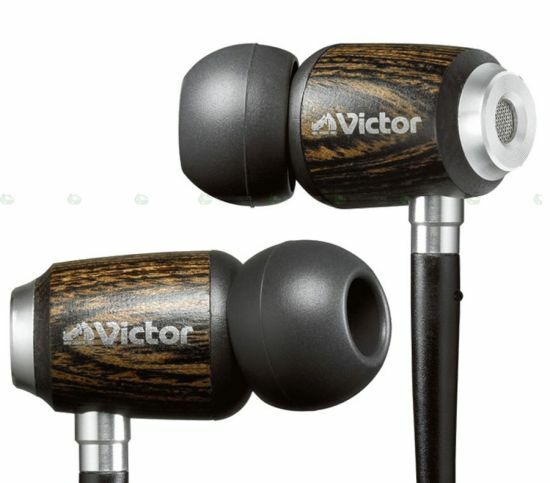 Collection of creative headphones, earphones and earbuds from all over the world that will help you listen to music in style. Teknines 18k Gold Earbuds: These unusual shaped earphones are plated in 18k yellow gold. 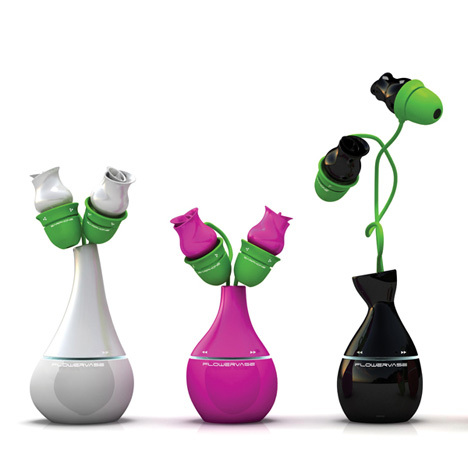 Flower Vase MP3 Player: It combines an MP3 player and retractable headphones into a unusual shape. 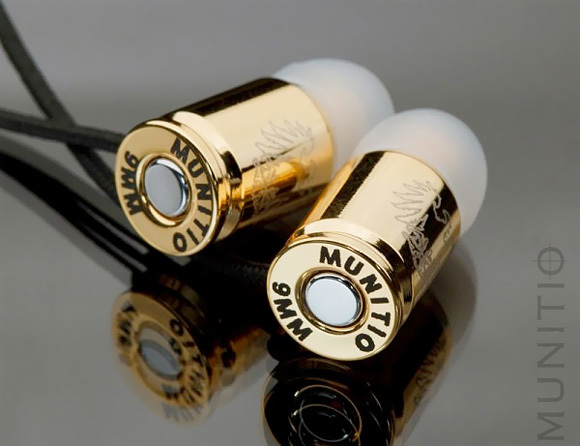 Headphones with Camera: Andy Kurovets & Kris Dekeijse's unnamed design has a hidden camera behind the gem in the middle of the earphones. 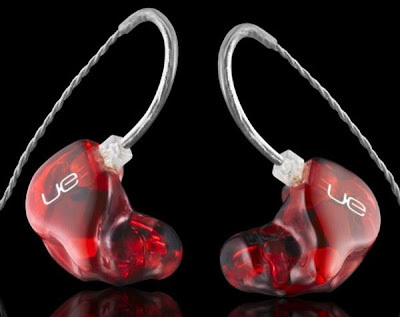 Ultimate Earphones: These cool earphones come with an amazing 6 drivers in each earbud. 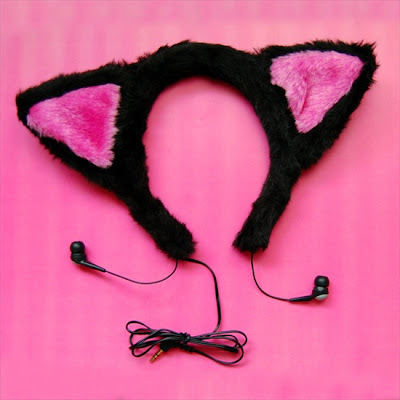 Just imagine the quality of music that you might get with these pairs of headphones! Wooden Earphones: These earphones from JVC are made of wood; the cool feature of this trendy earphone is that wood promotes the audio quality and it weighs only 7.5 grams. 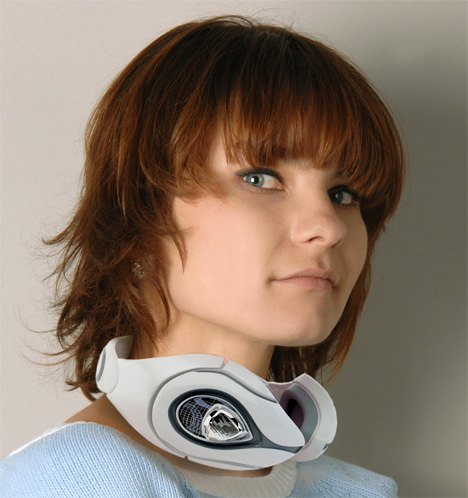 Headphones with SD Card: With these rechargeable headphones you won't need a music player in order to listen to music. 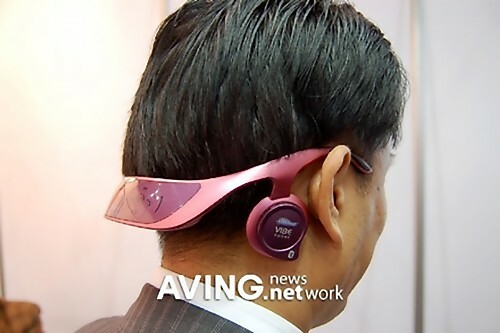 Just load the SD card with music and listen. 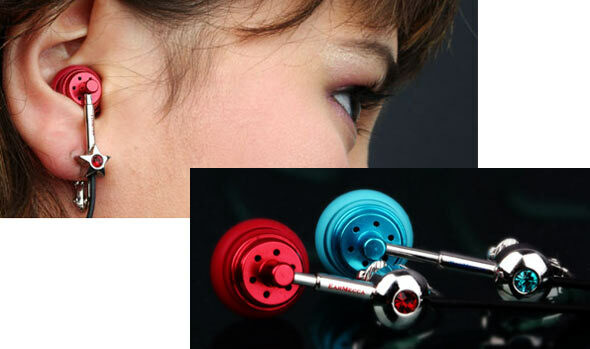 Earphone Earrings: These cool earphones combine in-ear technology with a clip-on earring. Blinx Earphones: Plug these cool earphones into any music device and watch lights that moves to the sound of the music. 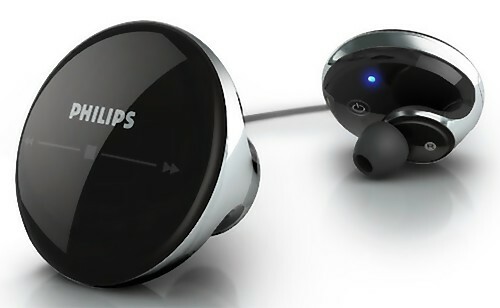 Philips' Stereo Bluetooth In-Ear Headphones (SBH 7110): This cool looking in-ear piece features a touch interface that allows you to fast forward or pause and also easily connect to your phone. 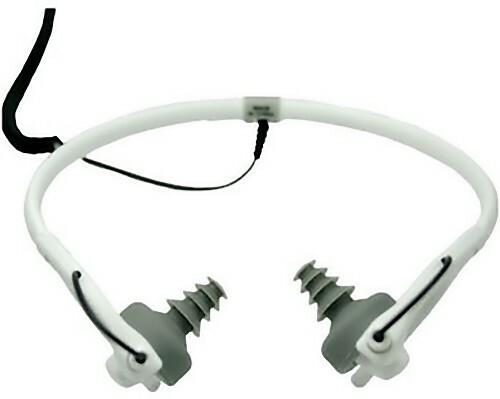 N.Tech Headphones: Unlike the usual headphones that can be placed into your ears, these are bone-conducting headphones that will 'sing straight into your bone'. 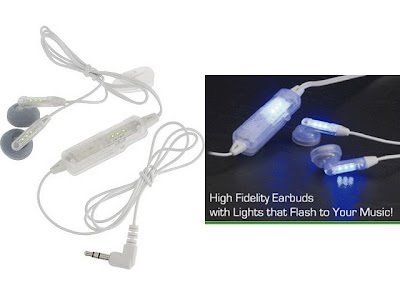 Fruitshop Earphones: These unusual shaped earphone cord wrap provides a solution for clearing the spare cords. 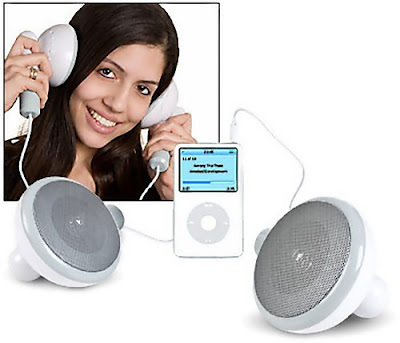 Big Earphones: Actually these are desktop speakers, shaped like earphones, but at 500 times the size. 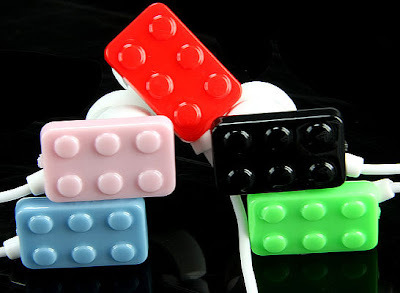 Brick Design Earphones: These colorful in-ear brick headphones comes in five different colors for you to chose from: black, blue, green, pink and red. 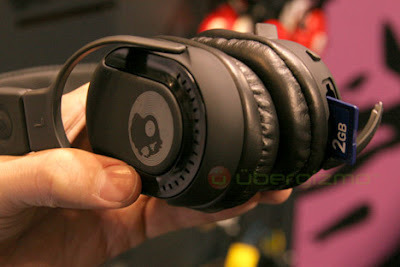 OtterBox Headphones: These waterproof headphones can be used even in the rain or while swimming. 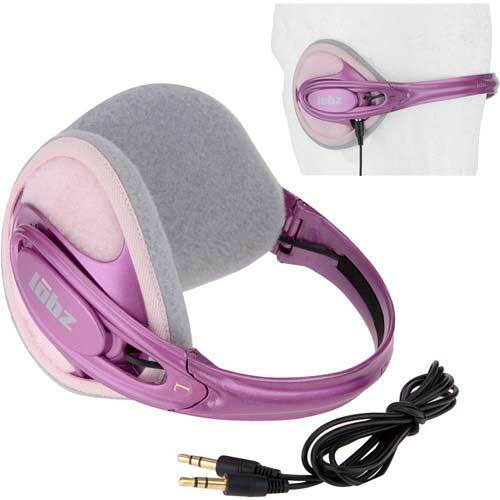 Lobz Audio Ear Warmers: These come with integrated speakers, detachable headphone cord and keeps your ears warm at the same time. 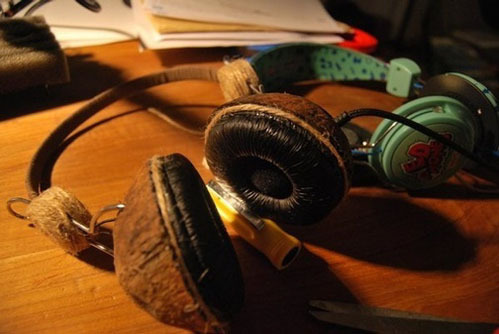 Coconut Headphone: 'Iwan Roberts reconditioned this pair of headphones using coconut husks and some twine as a gift for a friend'. 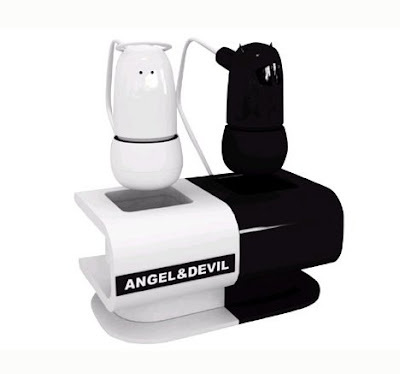 Don't miss to check out "Creative and Unusual Headphones - Part: 1| 2| 3."